This entry was posted on January 25, 2013 by Paul. 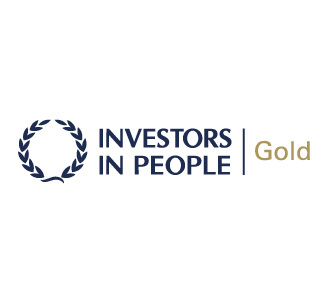 Posturite has become the first ergonomics company in Britain to achieve the Investors in People gold standard. Already the country’s runaway market leader in the design, manufacture and distribution of posture-improving products for the workplace and the only company providing health and safety consultancy, training, software and product on a national basis, Posturite now sits among the top 3% of UK businesses holding an IiP gold award – the ultimate recognition of world-class best practice in people management. The company was first recognised by Investors in People in 2009 and has taken less than three years to reach the gold pinnacle. IiP assessor Claire Smith, who spent several days with the Sussex-based company and interviewed 20 of its 100 staff chosen at random, said in her report: “Posturite is an impressive, values-driven organisation and its no-blame culture, as well as its open, trusting and empowering management style demonstrated by directors and managers, is conducive to high levels of engagement, enthusiasm and motivation. “People genuinely enjoy working for Posturite and they live the organisation’s values daily. Posturite CEO Ian Fletcher-Price, who started the business in 1991 working from his mother’s garage, said: “This is a huge feather in the cap both for the company and our wonderful people who are so crucial to our success. It’s appropriate that we should be awarded gold in this memorable Olympic year. "We believe wholeheartedly in investing in our staff, their expertise, well-being and practices. So it’s very gratifying when such a prestigious third party organisation tells us, and the world at large, that that investment is paying off so handsomely.